Finding free things for seniors can make life a little easier at this tender age. If you're a senior citizen, take the time to learn about all the items and services available to you at no cost. Freebies for seniors are especially important if you are living on little income. Below are available free products and services, but if you don't see what you need, or a company listed, don't be afraid to ask! Many companies offer free or discounted services and merchandise, but they don't always advertise the option. Many local government and non-profit organizations also provide free services that may not be widely advertised. "AAAs" are available in most major cities to provide services for seniors. Services at each office will vary so you'll need to contact your local office to see what they provide. Typically, AAAs offer free counseling on long-term care, health and other insurance, nutrition, minor home repair, and help with applying for government assistance programs. AAAs are also an excellent source of services for free in your local area that may not be widely advertised, such as public transportation and other city and county services, adult day care, and food banks that provide meals for seniors. Another way to find free local services specifically for seniors is through the Eldercare Locator website. This program is funded by the U.S. Administration on Aging and can help you find options such as transportation, legal assistance, elder abuse resources, and more. Some services may just be discounted but many can be found in your location that are free. You can also call them at 1-800-677-1116 for assistance. If you are a lower income senior, Donated Dental Services (DDS) provides free senior dental care. The program is entirely staffed by volunteer dentists and is available in every state. Their website has a listing of facilities by state and their application process. You may also be able to get dentures for free by contacting your state's dental association. They will be aware of any free services offered by dental schools and others in your state. You may also be able to find about local free denture programs through your local AAA. Low-income older adults can also receive medical services for seniors through local free clinics run by the National Association of Free & Charitable Clinics. If you need help with medication, pharmaceutical companies operate Patience Assistance Programs that provide seniors with free medication. Some of these programs are run by states and can be found on the National Council on Aging website. The RXAssist website and the NCOA-sponsored BenefitsCheckUp site help you to search for PAPs offered directly from drug companies. Lions Clubs International provides free eyeglasses, exams, and glaucoma screenings for seniors. These services vary based on your local Lions Club. If you need a hearing aid, there are organizations that assist seniors with obtaining them for free. The Starkey Hearing Foundation has an application process through their Hear Now program. The National Hearing Aid Project assists low-income seniors with finding hearing aids although depending on your level of income they may not be free but very low cost. 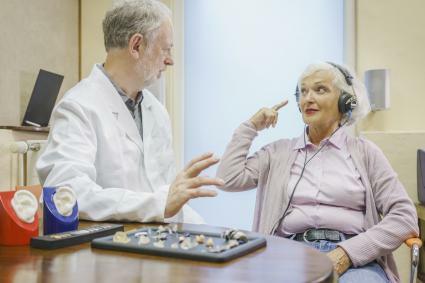 Another organizations that assist with getting new or refurbished hearing aids for seniors include the Lions Club and Kiwanis Club through their local branches. You may also qualify for a free hearing aid through Medicaid and the Veterans Administration. If you need help understanding what your government benefits through Medicare cover, the Senior Health Insurance Assistant Program helps seniors with free health insurance counseling. Note that program may have different names in different states. Seniors who are suffering from hearing loss can also get a free phone from CaptionCall. The phones have a screen interface that provides captioning for incoming calls. Meals on Wheels is an amazing program that provides over 2 million meals a year to needy seniors. Meals on Wheels is available in every state. You can find your local provider on the Meals on Wheels website. Typically, the program serves seniors who are homebound and on a sliding scale that can lead to free meals depending on your income, but they also offer meals in places seniors can congregate and eat together for social time. The USDA Commodity Supplemental Food Program (CSFP) provides low-income seniors with food packages to supplement their regular meals. The packages include items like canned goods, peanut butter, cereal, milk and juice. CFSP is available in most states, Puerto Rico, and some Native American reservations. Many hospitals and long-term care facilities have walkers and other physical aids for seniors for free. These are usually items that have been donated by past residents and their families. Many local municipalities have free public transportation waivers for senior citizens. Your local AAA or government offices can let you know what is available in your community. Some cities and counties even offer free transportation services specifically for seniors, such as RideATA in Pennsylvania and AGIS in multiple states. Churches and local community organizations may also offer free car service run by volunteers who can take you on shopping trips, doctor appointments, and even entertainment. Seniors who want to go to college can get fee waivers from several states. Some waivers may only cover part of the cost, but many programs end up getting you tuition free of charge. Depending on your status and need, many agencies provide assistance each tax season. A community center or senior center would be the best place to look for information. Tax Counseling for the Elderly provides free preparation services for seniors. You can find a TCE office near you by calling 800-906-9887 or on the AARP website. The Lifeline program, funded by the Federal Communications Commission, provides low cost and free cell phone or landline services for low-income seniors. The program is available through various phone service providers, such as QLink and AT&T, and options will vary. Some providers include a free phone while others do not so it's best to shop around. Likewise, many local cable companies offer free internet service for the elderly. Some of these include Comcast, Cox, and AT&T. These services may be discounted or completely free for seniors, so you'll need to call and research the best options in your service area. This website has coupons and deals for seniors which do require some payment. However, the membership is completely free for seniors. You can find discounts on shopping, restaurants, and groceries. Many store discounts allow seniors to find free deals that may require a purchase, such as a free drink with a meal, which while not totally free, can provide some free items and lower your costs. There's no reason for senior citizens to spend money when you can get many products and services for free. Whether it's through the federal, state, or local government or churches and non-profits in your area, there are many options to help you financially in your senior years. 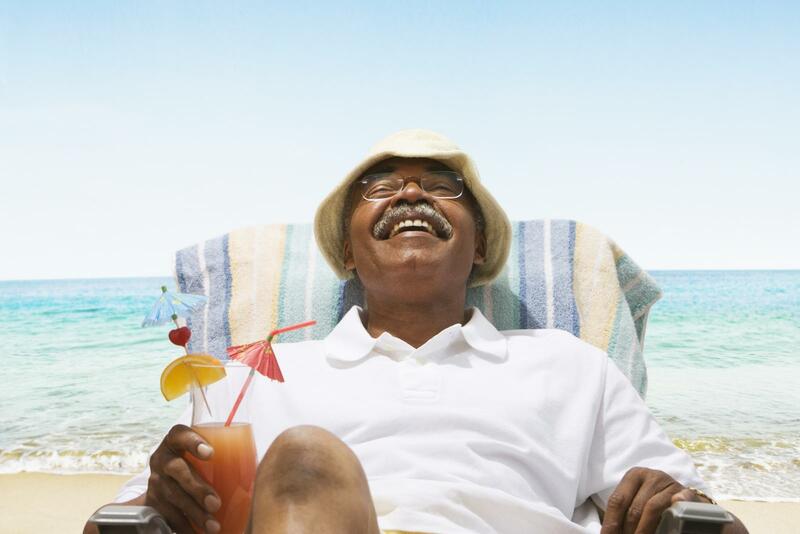 Do your research and contact all of your local resources to start saving money and enjoy your retirement.